What Kind of Wine Taster Are You? © Fotolia/Tim Hanni | Know what you like in a wine? Tim Hanni explains why in his new book. © Erik KastnerHanni’s four types are Tolerant, Sensitive, Hyper Sensitive, and Sweet. © Tim Hanni | There are four vinotypes, according to Hanni* “Why You Like the Wines You Like,” by Tim Hanni, is published by New Wine Fundamentals at $24.95. In this excerpt from his new book, “The Scent of Champagne,” Richard Juhlin addresses the thorny issue of pairing Champagne with food. “Champagne today is the best wine to pair with food created by the world’s leading gourmet restaurants. No other wine can so perfectly accompany and accentuate the subtle nuances that the multifaceted dishes made from locally produced delicacies have. In France, they unfortunately usually drink champagne for dessert, whereas the rest of the world drinks it as an aperitif. Admittedly, champagne is the perfect aperitif, with its mouth-watering acidity and fast-acting, refreshing effect, but with the right foods, one can get even more out of their drinking experience. When it comes to pairing food and wine, the old rule is that the heavier and stronger the dish, the heavier and fuller the wine should be, and vice versa. Whichever way you choose to compose your meal, it is important to consider the balance between food and drink. It can be achieved so that the wine adds something that the food lacks, or by choosing a wine with similar flavors that are already found in the food. A wild game dish, for example, can be complemented by champagne’s animal tones, or a nutty caviar dish with an equally nutty champagne. The aroma’s significance is usually forgotten when wine and food are paired. The wine’s combination with umami can often be negative, with a metallic and bitter flavor. This is avoided primarily by creating taste bridges by adding any suitable ingredients that neutralize the effect. Salt and acid are often useful ingredients in these flavor bridges. Today’s fashion is entirely based on creating harmony between food and wine, so that no flavors are arguing with each other. I think, however, that I have noticed that many fine wines lose in definition and purity when combined with food in this way. According to these principles, if I bought a Billecart-Salmon Cuvée NF [Nicolas François],the wine would balance with a dish rich in acidity and salt, and I would get a nice and smooth harmonic taste in the mouth, but the small nuanced tones of the vintage made by the producer would be smoothed out. It is similar to the way you work in the music studio world, which I previously did. It is popular to treat the sound image with a compressor and cut off all the tops and bottoms for a polished, impersonal, and slightly flattened sound. Personally, I am much more careful that my food does not have an overabundance of any of the basic tastes that otherwise would numb my taste buds. I always start with the wine and choose a gentle dish as a companion. What are the wine’s worst enemies? The most critical ingredients are vinegar, raw onions, citrus, tropical fruits, grapes, lingonberries, sorrel, artichoke, Jerusalem artichoke, rhubarb, and fiery spices. Although these conflicts can be balanced when cooked right, flavor bridges and wine selection can circumvent the problems. Eggs are interesting because they are not only rich in umami and sulfur, but also have such a fatty texture that the taste buds get covered and prevent you from tasting the wine. The fun part is that the high acidity in champagne neutralizes the sulfur, and the mousse cleans the tongue, so that even the raw egg yolk and champagne can be a good contrasting marriage. Bacon and eggs is my most common budget-tight suggestion with non-vintage champagne. Many believe that you can drink champagne with all kinds of food, and it does not fit any better with a particular dish. It is true that champagne fits with most types of food, but the wine can also be elevated to heavenly heights in combination with the right dishes. The bubbles and the acidity cut like a knife through cream or butter sauces, purées, eggs, and other greasy, mild dishes. Vegetable dishes, fish, and shellfish are lifted by the elegant champagne, and the beverage in other cases can refresh the mouth after stronger flavors. But you should beware of dishes with too much acidity. Citrus fruits with champagne or strong vinaigrette sauces give an acidic overall impression, and hot spicy dishes can be devastating for most wines. Sure, you can combine champagne with relatively simple and cheap meals, but I think you can treat yourself with more fancy food on the occasions when you open a bottle of champagne. Oysters and champagne are, of course, a classic as well as champagne with Russian or Iranian caviar. However, it is important to choose a young, dry, and light Chardonnay-based champagne to withstand the salty sea flavor. Oysters have a milder taste if they are baked in the oven and come with a cream sauce or mild cheese. All shellfish except crab and shrimp go well with champagne, but the question is whether or not scallops or lobster with champagne is the best combination. Salmon and flat fish with white wine sauce and middle-aged cuvée champagne is another successful gastronomic marriage. The sauces that are to meet champagne should be made with light broths, especially fish stock or chicken stock that are either assembled or cooked with butter, crème fraîche, or cream. Mushrooms – and more preferably truffles – taste wonderful together with a pinot-based champagne characterized by gentle animal and vegetal notes. Asparagus is generally considered to be difficult to bring together with wine, but champagne is a great exception. Asparagus with Hollandaise sauce or Parmesan accompanied by delicate cuvée champagne can be like drinking spring. The timid flavors of Japanese cuisine are very well suited for the bubbling beverage, but beware of Asian dishes containing wasabi, soy sauce, or hot spices. ct combination of all is old champagne and foie gras. The sweet, crunchy flavors of fully mature champagne are a much more refined option to liver than Sauternes. The acidity of champagne prevents the fatty liver from becoming too powerful an experience. Because champagne has proven to be the most flexible of beverages, there are endless variations of food pairings. I work frequently with the top chefs and know that you can reach heavenly heights when everything is correct. To help you simplify it all, I have selected a small cheat sheet that you can always follow successfully unless you have the time and inclination to experiment yourself. My simple champagne menu contains many dishes, but it is only an attempt to make the dinner feel more luxurious without being too difficult to cook. That way, you can also serve more champagne and showcase the district’s entire records easily. This template can always be followed whether canapés are made from tin bread and caviar or Russian blinis and exclusive beluga caviar. Start with simple canapés and a blanc de blancs from any good grower in the Côte des Blancs. For example, Pierre Peters, Legras, Charlemagne, or Bonnaire. Continue with a salad without too much lemon or vinaigrette, and non-vintage champagne from a famous house such as Moët & Chandon, Veuve Clicquot, G.H. Mumm, or Perrier-Jouet. A smaller dish with a simple butter sauce accompanied by vintage champagne in the medium-bodied style. For example, Henriot, Pol Roger, Billecart-Salmon, or Taittinger. As the main dish, serve game with mushrooms and vegetables and a mellow, pinot-dominated, heavy champagne such as Bollinger, Gosset, André Clouet, or Egly-Ouriet. * “The Scent of Champagne,” by Richard Juhlin, is published by Skyhorse Publishing at $75. It will be published in the U.K. in January 2014 at 46.31 pounds. What’s the best format for a wine tasting party? When you’re hosting your own tasting party there are a couple of things you’ll do differently than a professional trade tasting (sipping vs. spitting) but the basic format is the same. Most wine tastings feature four to eight different wines that have a common theme that ties them together. In this guide, we’ll lay out a proven tasting format and a few wine tasting party ideas that are not only useful, but a lot of fun to try. A formal wine tasting with proper place settings in Rioja, Spain. Notice: even pro tastings will use 2 glasses per guest. While there are a myriad of different techniques to decorate the table, if you have well-curated wines it doesn’t matter how the table looks. If you select wines based on a specific theme, people will pay closer attention to what they’re drinking. It also helps if you have wine tasting placemats to write on. One of the classic old world vs. new world tastings is Napa Valley Merlot vs. Right Bank Bordeaux. Compare and contrast the biggest boldest wines from around the world. The best way to do this is to ask for library vintages from your favorite winery. Crowdsource guests to spend less than $20 on a bottle of wine and blind taste them to determine everyone’s favorite. Wrap bottles in aluminum foil if you don’t have enough wine bags. Find out what wines to select for a blind tasting. Hosting a whole dinner party? How should the wines be ordered? Serve lighter alcohol wines before higher alcohol wines and Old World wines before New World wines. While there are no rules for wine order (i.e. 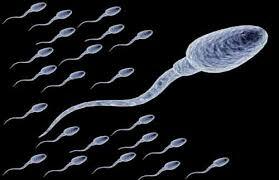 you can do whatever you want) there is a general understanding that, as we taste, our palates change. In other words, some wines blow out your palate and others are so nuanced that you won’t be able to taste them if they’re served later on. How much wine do I need for a wine tasting party? A little over a half a bottle of wine per guest is ideal. For instance, if you have an 8 person party, plan on having about 5 bottles of wine (each guest will receive a half-glass of each bottle). It won’t be too much to make people drunk, but enough to have a great party. In some of the best professional tastings, the first bottle is usually an ice breaker aperitif such as Champagne or Prosecco. People just seem to lighten up instantly with a glass of bubbles. The temperature you serve a wine will greatly affect how much it’s liked. Check out an infographic on wine serving temperatures for different kinds of wine. How Long Should I Cellar Wine? Is old wine really that great? The truth about cellaring wine is that most wine isn’t meant to age. Most wine is released within 2 years of being grapes in a vineyard and then slurped up within 6 months of purchase. So what wines should you consider for long term cellaring? Τα μικρά παιδιά μαθαίνουν από τη μαμά τους να λένε πάντα «ευχαριστώ» και «παρακαλώ» και όταν μερικές φορές το ξεχνούν, σπεύδει εκείνη να τους το υπενθυμίσει. Μεγαλώνοντας, όμως, οι ενήλικες συχνά αφήνουν πίσω τους τα πολύτιμα αυτά μαθήματα και ξεχνούν τους τρόπους τους. Μία καφετέρια στη Νίκαια της Γαλλίας, ωστόσο, φροντίζει με έναν ευφάνταστο τρόπο να επαναφέρει τους πελάτες στον… ορθό δρόμο. Έτσι, οι ιδιοκτήτες του Petite Syrah Café αποφάσισαν να «χτυπήσουν» τον λιγότερο ευγενικό πελάτη εκεί που πονάει περισσότερο, δηλαδή στην τσέπη του. Σκέφτηκαν, λοιπόν, πως θα χρέωναν περισσότερο τον καφέ των πελατών τους ανάλογα με τον τρόπο που εκείνοι θα τον ζητούσαν στο μπαρ. Αναλυτικότερα, για «έναν καφέ» καλούνται να πληρώσουν 7 ευρώ, για «έναν καφέ, παρακαλώ», καλούνται να πληρώσουν 4,25 ευρώ και για «καλημέρα, έναν καφέ παρακαλώ», πληρώνουν μόνο 1,40 ευρώ. Ο διευθυντής της καφετέριας, Φαμπρίς Πεπινό, δήλωσε στην ιστοσελίδα The Local: «Όλα ξεκίνησαν σαν αστείο γιατί κατά τη διάρκεια του μεσημεριανού γεύματος ο κόσμος ερχόταν πολύ στρεσαρισμένος και μερικές φορές ήταν αγενείς όταν έδιναν την παραγγελία για τον καφέ τους». Συμπλήρωσε, μάλιστα, πως «αυτός είναι ο τρόπος μας για να τους λέμε να παραμένουν ψύχραιμοι και να προχωρούν ακάθεκτοι». Αναγνώρισε, δε, ότι πολλοί υποστηρίζουν ότι οι Γάλλοι σερβιτόροι μπορεί να είναι αγενείς κατά καιρούς, αλλά «το ίδιο ισχύει και για τους πελάτες όταν βιάζονται». Αποκάλυψε, πάντως, ότι ποτέ δεν εφάρμοσε το παραπάνω τιμολόγιο, όμως, παρατήρησε ότι υπάρχει σημαντική διαφορά στη συμπεριφορά των πελατών του. «Οι περισσότεροι από τους πελάτες μου συχνάζουν εδώ και βλέπουν την αστεία πλευρά του πράγματος, κάνοντας υπερβολές στον τρόπο με τον οποίο θα δώσουν την παραγγελιά τους. Άρχισαν να με φωνάζουν μεγαλειότατο όταν είδαν την πινακίδα», είπε χαμογελαστός. Την ίδια στιγμή, ακόμα και η πρώην υπουργός της κυβέρνησης Σαρκοζί, Κριστίν Μπουτέν, δήλωσε πως πρόκειται για εξαιρετική ιδέα. Ανεξάρτητα από το αν εφαρμόζει το ιδιαίτερο τιμολόγιό του, η είδηση έκανε το γύρο του κόσμου, ταξιδεύοντας στο Διαδίκτυο, ενώ το σχετικό κείμενο στη σελίδα της εφημερίδας Nice-Matin στο Facebook έχει συγκεντρώσει πάνω από 60.000 likes. «Ο κόσμος είναι πιο χαλαρός τώρα και χαμογελούν περισσότερο. Αυτό είναι το πιο σημαντικό», επισήμανε ο Πεπινό. Οι άνδρες που πίνουν κρασί μέχρι και τρεις φορές την εβδομάδα δημιουργούν ισχυρότερο σπέρμα, έδειξε μια πρόσφατη μελέτη . Όπως αναφέρθηκε από το το Wine Spectator , η μελέτη, που πραγματοποιήθηκε από ερευνητές του Nofer Ινστιτούτου Ιατρικής στο Lodz της Πολωνίας , διαπιστώθηκε ότι το σπέρμα ήταν ισχυρότερο και είχε πιο ισχυρό λαιμό , όταν οι άνδρες έπιναν τακτικά κρασί με μέτρο. Τα ισχυρότερα σπέρματα είναι καλύτεροι κολυμβητές , αυξάνοντας έτσι την πιθανότητα γονιμοποίησης . « Τα αποτελέσματα της μελέτης δείχνουν ότι ο τρόπος ζωής μπορεί να επηρεάσει την ποιότητα του σπέρματος , » κατέληξε η μελέτη , που δημοσιεύθηκε στο τελευταίο τεύχος της Βιολογίας Συστημάτων της Αναπαραγωγικής Ιατρικής ,. Με την αύξηση του ελεύθερου χρόνου , την κατανάλωση ελαφριού καφέ και την χρήση των εσωρούχων μπόξερ βελτιώθηκε η αναπαραγωγική δύναμη του σπέρματος, ανακάλυψαν οι ερευνητές . Ωστόσο, η μελέτη διαπίστωσε ότι η τακτική χρήση κινητού τηλεφώνου για περισσότερο από μια δεκαετία μείωσε την κινητικότητα του σπέρματος. Τα ευρήματα έρχονται σε αντίθεση με πρόσφατη έρευνα στο Ηνωμένο Βασίλειο που ισχυρίστηκε ότι οι επιλογές στον τρόπο ζωής , όπως η κατανάλωση αλκοόλ και το κάπνισμα δεν έχουν καμία επίδραση στην αναπαραγωγική υγεία . Μία καλή ετικέτα κρασιού μπορεί να γίνει, κάτω από τις κατάλληλες προϋποθέσεις, μία από τις ομορφότερες απολαύσεις της ζωής. Τι γίνεται, όμως, στην περίπτωση που δε θέλετε να το πιείτε ολόκληρο; Ένα ανοικτό μπουκάλι, ακόμη κι αν το κλείσετε με κάποιο τρόπο ή επανατοποθετήσετε το φελλό, μπορεί γρήγορα να οξειδωθεί και να χάσει τη γεύση του. Ο Greg Lambercht, λοιπόν, ένας επιχειρηματίας που δραστηριοποιείται στον τομέα των ιατρικών συσκευών, είχε μία ιδιαίτερη “έμπνευση” για να αντιμετωπίσει αυτό το πρόβλημα. Τη δημιουργία του Coravin Wine Access System, που μπορεί να “αντλήσει” κρασί από ένα μπουκάλι, χωρίς να αφαιρέσετε από αυτό το φελλό! Ακόμη κι αν δεν το χρησιμοποιήσουμε ποτέ (γιατί, όπως θα διαπιστώσετε, η τιμή του είναι αρκετά “τσιμπημένη”) οφείλουμε να παραδεχθούμε ότι είναι ένα “gadget” που προκαλεί το ενδιαφέρον μας. Για να γεμίσει ένα ποτήρι με κρασί, τοποθετείτε το σύστημα Coravin στην κορυφή ενός μπουκαλιού, ωθώντας την “κούφια” βελόνα των δύο χιλιοστών μέσα στο φελλό. Στη συνέχεια, μία κάψουλα απελευθερώνει ένα αδρανές αέριο μέσα στο μπουκάλι και η πίεση αναγκάζει το κρασί να πέσει στο ποτήρι μέσα σε μόλις 20 δευτερόλεπτα. Ο Lambrecht, κατά τη διάρκεια της τελευταίας δεκαετίας, πραγματοποίησε “blind tests” σε σομελιέ, βάζοντάς τους να συγκρίνουν κρασιά της ίδιας περιόδου που βρισκόταν σε κλειστά μπουκάλια με άλλα που είχαν ανοιχθεί με το σύστημα Coravin. Το αποτέλεσμα ήταν οι περισσότεροι να μην αντιληφθούν καμία διαφορά στη γεύση τους. Όσο για τον ίδιο, δε διστάζει να χρησιμοποιήσει το σύστημά του, όπως λέει, για να απολαμβάνει ένα ποτήρι τη φορά από το αγαπημένο του Paul Jaboulet Aine Hermitage La Chapelle του 1990. Εμείς από την άλλη, συνήθως δεν αφήνουμε κρασί περισσευούμενο στο μπουκάλι, αλλά, όπως προείπαμε, απολαμβάνουμε τόσο την ιδέα του Lambercht, όσο και το video που ακολουθεί από το Coravin Wine Access System παρέα με ένα ποτήρι κρασί. 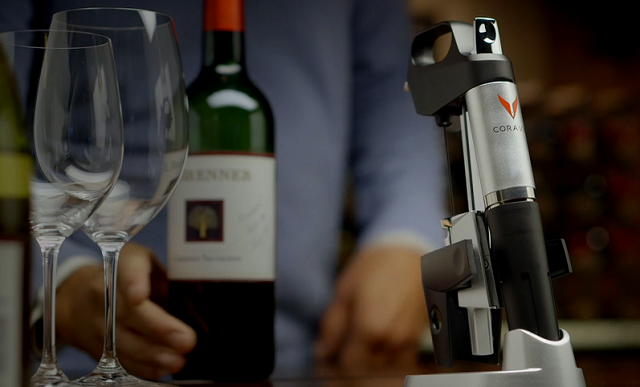 Coravin Brand Video from Coravin on Vimeo.